Welcome to The Tapestry, the latest residential located along Tampines Avenue 10, District 18, Singapore. Developed by City Developments Limited ,the development has site area of 21,717.7 sqm, comprising of 861 Residential Units of 1 to 5 bedrooms, Premium, Dual Key. Top-of-the-line fittings and fixtures complete the luxury ensemble befitting only for the discerning.Read more. Margaret Ville is a luxurious development, situated at the junction of Margaret Drive and Commonwealth Avenue, District 3, Singapore. Comprising of 309 residential units with units mix ranging from 1 Bedroom to 4 Bedroom. Near Queenstown MRT Station, Commonwealth MRT Station, Buona Vista MRT Station and minutes walk to Dempsey Hill, Orchard Road, Sentosa, Tanglin Village.Read more. 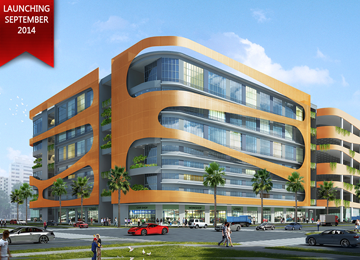 E9 Premium is a brand new 7-storey B2 industrial building. this development is located at Woodlands Industrial Park, along Woodlands Avenue 9. E9 Premium provides your industrial business needs with design that meets practically. E9 Premium showcases the capability of meeting your B2 Type Industrial Business needs with design that meets practicality. In the heart of Woodlands, where the vibes of retails, lifestyle & business development are transforming. Units are accessible by 20 and 40 footer vehicle and come a minimum of 80 amp & higher power supply. 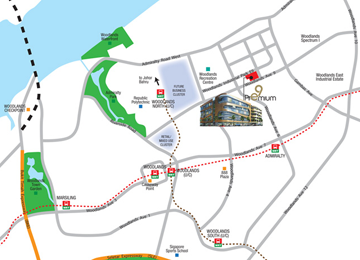 Located at prestigious location at Woodlands, E9 Premium is approximately less than 10 mins drive to Johor Bahru and also quite accessible by major expressways suchs as Seletar Expressway (SLE) and Bukit Timah Expressway (BKE). E9 Premium connects you directly from the upcoming Woodlands Regional Center to Johor and the rest of Singapore. Also, E9 Premium is situated at the center of amenities where the vibes of retails, lifestyle, business and residential development are transforming. At E9 Premium Singapore, you can own industrial space frees your business from the uncertainty of an unpredictable rental cycle. This new development offers investors a key opportunity to own a rare premium development at the heart of city. Ramp-up for ease of loading and unloading of goods. High ceilings add to the versatility of the units with ample vertical space for warehouse storage. 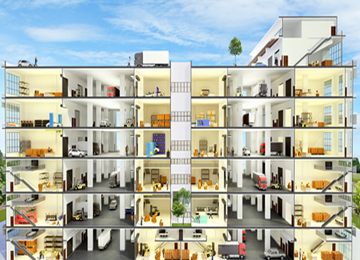 1st, 2nd, 3rd storey units come with mezzanine ancillary office. Suitable trades such as welding industries, automobile services, engineering, etc. Temporary Staff Canteen at ground floor for your convenience. Communal sky terrace from 2nd storey to rooftop with lush landscaping. E9 Premium is a quality development for your businesses needs or investment needs. Developed by incorporated Woodlands Pte Ltd, E9 Premium is expected as a quality development for your investment! Hi! I am interested in E9 Premium, please contact me. By submitting this form, I agree to be contacted by E9 Premium 's appointed sales team and its associates from residencessingapore.com.